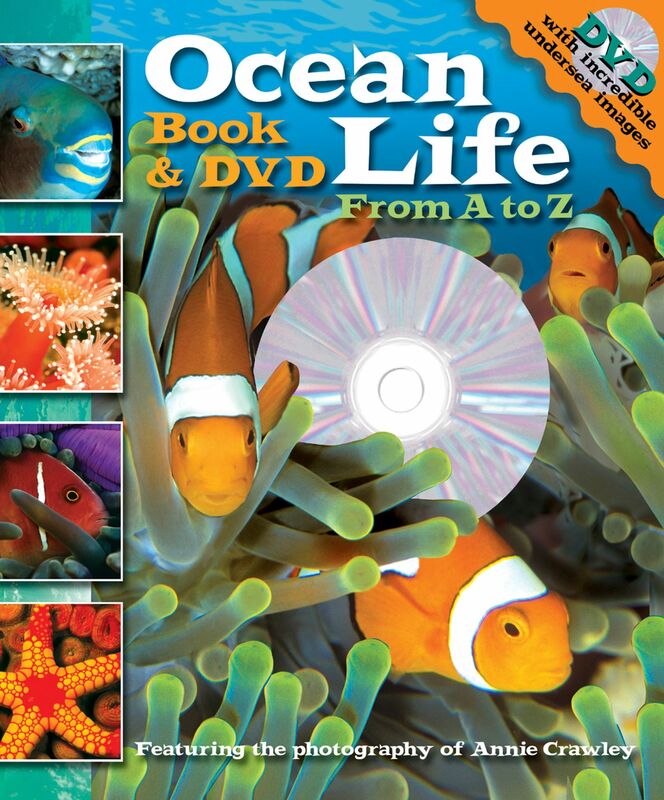 Kids will love this innovative book and DVD package that lets them discover the fascinating underwater world—without ever getting wet! Kids will find fun facts and interesting tidbits as they pour over the amazing photographs and enjoy the 45-minute DVD full of incredible footage! Kids will love this innovative book and DVD package that lets them discover the fascinating underwater world - without ever getting wet! The entry for each letter focuses on the ocean-dwellers that begin with that letter. Kids will find fun facts and interesting tidbits as they pour over the amazing photographs. The 45-minute DVD showcases incredible footage that kids will want to watch over and over again. Underwater life is a part of all preschool thru high school curriculums! Some preschools and all early grades study the life cycle of the tadpole to frog, and all early grades study the different types of plant and animal marine life - this book and DVD package includes everything they would study and MORE! Annie's interesting narrative on this DVD clearly explains what it is like to be a captain of a boat, a videographer, and an underwater diver for young children studying 'What Do People Do?" in school! Catherine Hapka has written more than 100 books for children and adults. She’s written for series as a ghostwriter and has also authored original titles. She lives in Pennsylvania.